The prolonged cold weather this winter followed by heavy rains has played absolute havoc with some of our roads. One particularly bad stretch follows the 41 bus route through the Beacon Estate and onto the Allens Rough Estate. 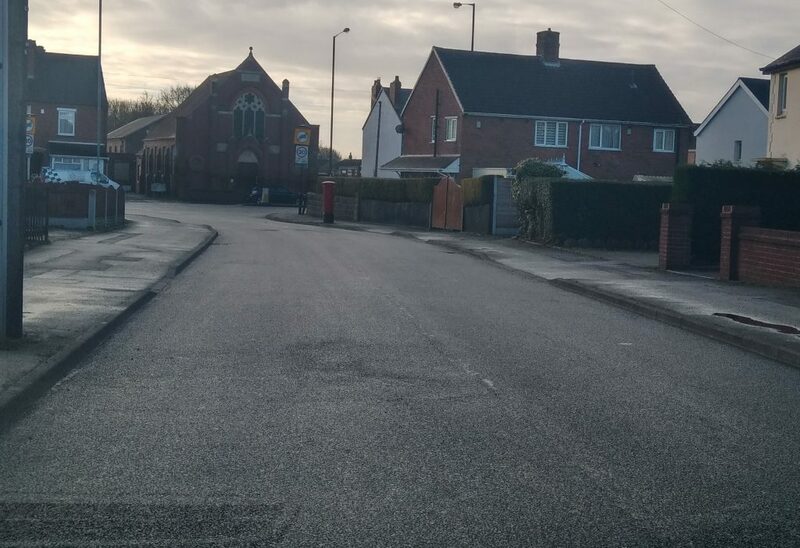 Just a few weeks back, following pressure on the Council’s Highways bosses by Lib Dem Activist Carol Fletcher and myself the section of Fletcher Road between the Lichfield Road and Moore Road was resurfaced. At the time the rest of the route along Jones Road and Hilton Road wasn’t to bad. Sadly that’s no longer the case. 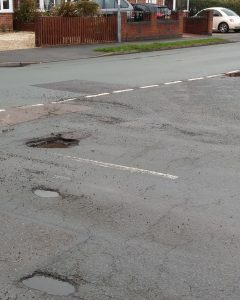 Over the past few weeks deep pot holes have begun to appear. Carol and Ian have taken photographs and passed them onto Highways. 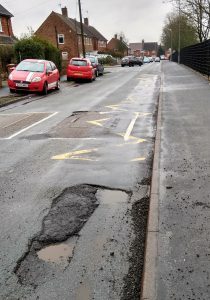 They have got back to us saying that they will be making temporary repairs for the next few weeks which generally means they will be chucking some tarmac into the holes to stop any damage to vehicles and risks to cyclists. 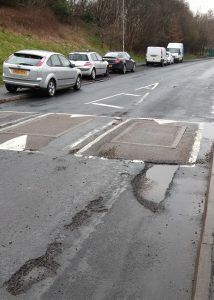 In a few weeks time permanent repairs will be made using the velocity patcher. This machine works by first blasting the hole with a jet of air to remove water and loose aggregate. This is followed by spraying in a tarmac mixture which is then flattened and sealed. 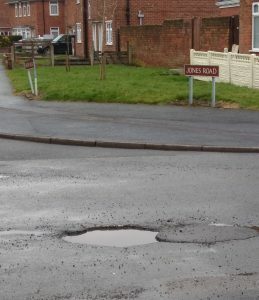 There are literally thousands of pot holes across the borough this kind of puts into perspective the Government’s answer to the problem by chucking a bit of money at it. 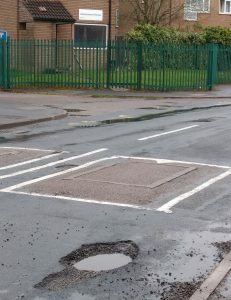 In Walsall’s case it amounts to around £250,000 which hardly scratches the surface. 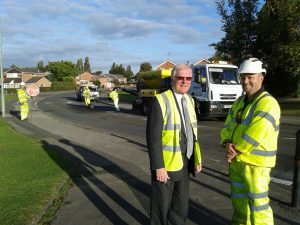 Over the past seven years the Government has cut a staggering £160,000,000 off Walsall’s budget.